Natural or white fabric with black print quilt panel. 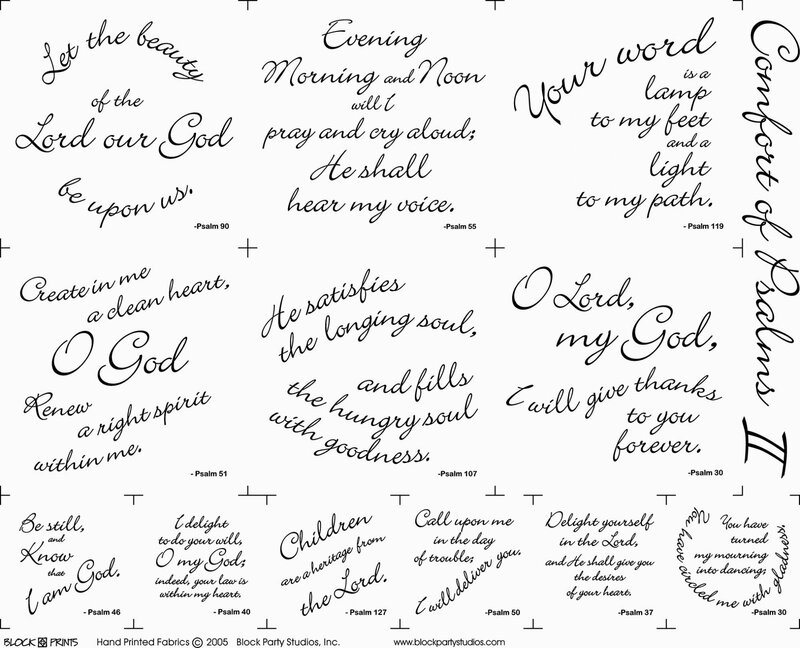 Our newest Psalms panel has twelve sayings. Squares finish to 6" and 3". This panel is included in our new "Guiding Stars" pattern. (Pattern sold separately).